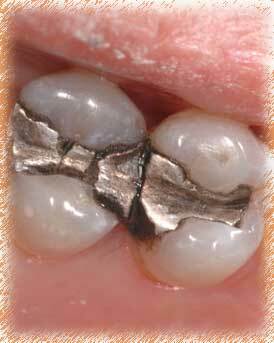 The most common reason teeth break is some dental fillings are very large, they also re-decay. Small dental fillings do not break as easily. At times the tooth structure becomes weak and fatigues. You have to remember we many times eat hot foods followed by a cold drink. This causes micro-expansion and contraction of the old dental filling materials. The pressure of mastication also helps break the dental fillings and tooth structure. The normal solution is to crown the tooth i.e. full coverage. The best are gold crowns. They never break and usually have the best fit. Goal crowns are very biocompatible.